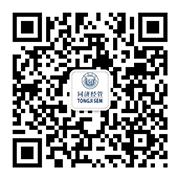 Tongji University began programs in Economics and Management in 1956, and was one of the earliest universities in China to launch such programs. The School of Economic Management was founded in 1984, and merged with the Business School to become the School of Economics and Management (hereinafter referred to as SEM) in 1998. At present, SEM covers the main disciplines of Economics and Management through the Department of Management Science and Engineering, the Department of Construction Management and Real Estate, the Department of Business Administration, the Department of Accounting, the Department of Public Administration, and the Department of Economics and Finance. Corresponding research institutes and laboratories have also been established in second-level disciplines. After over fifty years of development, SEM has gradually established a mission of Innovation, Cultivation, and Service with a goal of Internationalization and a strong research orientation. SEM currently boasts 210 faculty members, among whom 60 are professors, 74 are associate professors. At present, there are more than 1500 registered undergraduates, over 4000 postgraduates (including academic postgraduates and postgraduates of professional degrees, such as MBA, Master of Public Administration, Master of Engineering Management, EMBA) and doctoral candidates. After about 30-year development, SEM has cultivated thousands of professional management talents, who are now playing important roles in the development of the national economy. Scientific research, both academic and applied, is the main focus of the school’s development. Focusing on the real needs of discipline construction and economic development, SEM combines teaching and scientific research. SEM actively undertakes research programs at the national level, working with concerned ministries, commissions and enterprises. Meanwhile, international cooperative programs have been developed with many foreign scientific research institutions, colleges and universities in the US, Germany, Switzerland, etc. 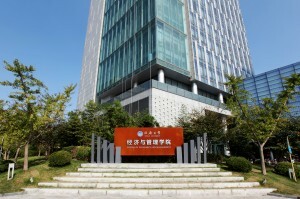 The overall scientific research level ranks among the top in business schools in China. International cooperation and exchange is one of SEM’s significant features and advantages. SEM has collaborated in undergraduate and graduate programs with ESCP Europe Business School and ESSEC Business School, an MBA double-degree program with Manchester Business School, an EMBA double-degree program with University of Mannheim, MBA and Finances programs with Case Western Reserve University, and the SIMBA program with ENPC School of International Management. At present, SEM has established collaborative partnerships with over 70 renowned business schools and universities in 26 countries in terms of faculty exchanges, scientific research, and student exchange. SEM has had many achievements in its international growth and disciplinary development. At present, SEM is an official member of AACSB, EFMD, AMBA and PRME.It has been awarded AMBA Accreditation, EQUIS Accreditation and AACSB Accreditation. In 2014, SEM was ranked the seventh among Top Business Schools of Mainland China in Eduniversal Worldwide Business School Ranking, and it has also been honored the Most Influential Brand of MBA Program by Forbes, China. In 2016, SEM’s Master in Management was globally ranked the 50th by Financial Times. In the future, Tongji-SEM will pursue its efforts to develop an internationally-renowned School of Economics and Management.